Making factory automation systems more efficient since 1992. 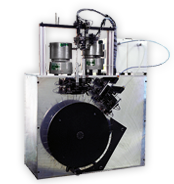 Centricity Corporation is a leading manufacturer of precision servo index drives, custom rotary tables, rotary pick-to-light systems, and I.D. parts feeding systems. What are the benefits of Centricity’s indexer to assembly automation? 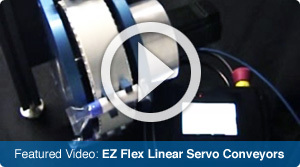 How does our servo indexer simplify the complex tasks in high speed inspection activities? Can Centricity’s indexer withstand the forces of automated joining? 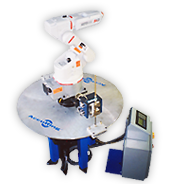 How does Centricity’s servo indexer reduce the complexities of robotic integration? 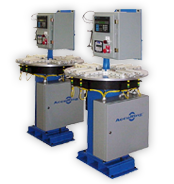 For over 30 years our company has built equipment to simplify factory automation with unique low-cost solutions. Today Centricity is a world leader in servo indexing systems and parts presentation and feeding systems. We serve aerospace/defense, automotive, and general industrial applications for assembly, inspection, robotics integration and other complex solutions. Our equipment integrates seamlessly with even the most complex application because we understand the challenges our customers face in today's competitive marketplace. 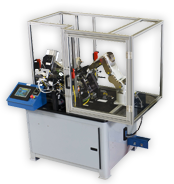 We look forward to becoming your solutions provider for servo indexing, parts feeding, and parts presentation systems. Smartbar™ is the first real innovation in grab bar technology in decades. A stylish alternative to institutional looking grab bars. Smartbar easily installs with Easymount™, a unique patented single fastener mounting system. The products contained in this website are protected under the following U.S. patents 5,950,503 | 6,948,402 | 6,827,199 | 7,638,963 and other patents pending.